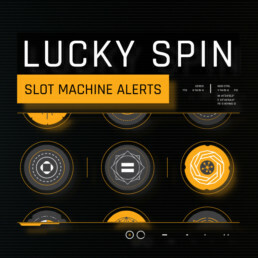 It’s time to go for your Lucky Spin! These alert widgets allow you to add a slot machine game to your stream in just a couple of clicks! Use our powerful custom options to change colors, translate the alerts, customize the win chance, and much more. What are you waiting for? Take these alerts for a spin! This widget package is designed for use and is fully supported with Streamlabs and will work for streaming on Twitch, Youtube Gaming, Facebook and Mixer. Fully tested for OBS Studio, Streamlabs OBS, and XSplit Broadcaster, and BEBO. The text in the alerts can be changed to anything you like using Streamlabs custom fields and “blank” layouts. The overlay pack comes with all files needed for the most popular streaming software, as well as preset layouts (.overlay) to be used in Streamlabs OBS.